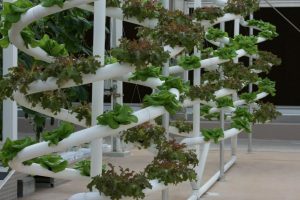 Hydroponics, Aquaponics and the future of food. Aquaponics and Hydroponic cultivation is a sustainable and efficient solution for the suburban gardener, nursery owner and commercial farmer. With a little bit of knowledge, some basic DIY skills and a smattering of ingenuity, anyone can integrate hydroponic or aquaponic systems into their current growing space. A successful aquaponics or hydroponics garden can yield up to 30% more than conventional soil planting, as well as requiring less space, resources and water. Both methods of cultivation utilise water as the primary source of nutrition, the difference being how the nutrition is supplied. In Hydroponics, the nutrition is provided in salt form by the cultivator, in Aquaponics the nutrition is provided by the fish and bacteria living in the water source. Hydroponics is traditionally the preferred choice of commercial growers because of the relatively low costs and high yields. Hydroponic cultivation requires the grower to add the nutrition to the water and manage the pH, temperature and oxygen levels of the water. This enables the grower to fine tune the nutrition available for improved growth rates as well as accurately track inputs and outputs. Aquaponics systems rely on the natural order or “cycle of life”. Typically the grower will begin by feeding a small school of fish, usually Tilapia, and start preparing the environment for plant growth. In order for an aquaponics system to be successful, the right bacteria need to be realised and the system monitored closely. While many think one can simply add fish, water and plants to achieve an aquaponics system, the reality is starkly different. To maintain the balance between the fish and plants, the grower must ensure traditional aquaculture practices are employed and planting must be matched with the availability of nutrition and water quality. When integrating a hydroponic or aquaponics system into your growing space, a number of factors must be considered. Both systems will require the user to purchase a pH monitor and EC (TDS) monitor. Traditionally aquaculture requires a number of mineral testers to ensure there are no toxins building up in the water. These indicator will determine the concentration of salts such as Calcium, Phosphorous and Ammonia. Apart from the actual components to the systems, the only compulsory piece of equipment is the pH meter. Plant roots prefer a slightly acidic environment and the pH must be controlled to ensure peak growth. Deciding between the two systems is often dependent on application and goals. 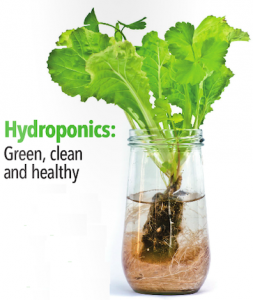 Typically a hydroponic systems is the choice of many a commercial grower, especially those growing ‘out of season’ crops. Hydroponic cultivation found its’ roots in industry and the goal when employing this method, is to ensure absolute accuracy, control and efficiency. Many growers recycle the water and only add the nutrient profiles required for the stage of growth. 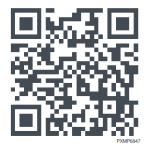 This allows commercial operations to plan and budget accordingly, as well as streamline their operations. Nurseries, co-ops and small farms are prime instances of ideal implementation of hydroponic systems. Despite the required watering and feeding, the actual growing of the plant can be accommodated in many ways, including simply planting in an inert medium and planter bag, using standard irrigation to transport the nutrient solution from the water source to the plants. Less susceptible to environmental factors. Courtesy of the Green Business Magazine – Issue 17.